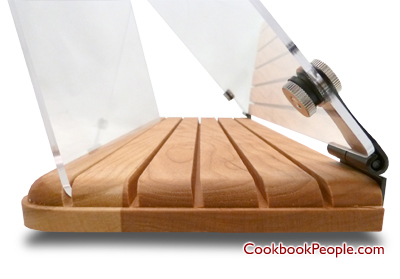 This cookbook stand is large enough to accomodate either one of our half-page or full-page binders. Base is 16" x 6"
Height when open is 17"
Have you ever had a day in the kitchen where nothing went right? It is sometimes impossible to work with a larger recipe binder or cookbook while in the kitchen as it can take up space needed for your many dishes you are preparing. 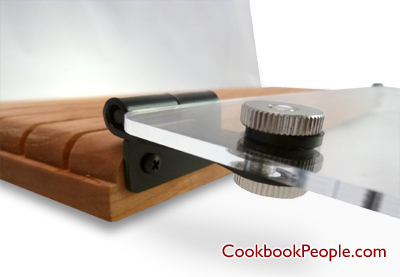 Some stands available work great for a lighter cookbook, but tumble over or break when a full-sized binder is placed on them. Placing your cookbook directly on the counter can leave it open for getting messes on it. However, we have found the perfect solution right here for you! This large and durable stand is great for either our half or full-page cookbook binders, and it will also easily accommodate the rest of your cookbook collection. 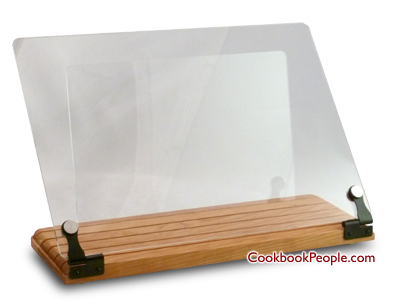 This particular stand, made in the USA of high-quality wood and acrylic, features a large base for holding a recipe binder as well as an acrylic splash guard to protect your recipe pages. The splash guard easily folds forward to let you place the cookbook on the holder, or to turn the page of your current recipe. It’s unique hinges work smoothly so you don’t have to worry about the splash guard slipping or falling forward. The acrylic back is strong and sturdy, so even the heftiest of binders will comfortably fit without falling over. 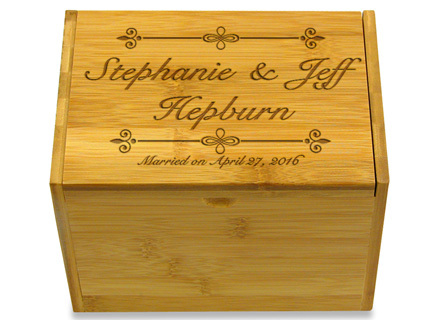 The base is a beautiful wooden cherry, a tasteful complement to any kitchen style. This stand would be the perfect accent piece for any cook who loves working from their recipe binders and cookbooks. 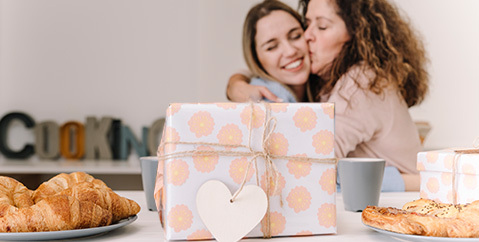 It makes a great gift to go with either a half or full page recipe book. 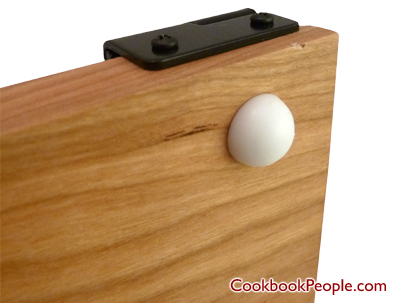 This cherry wood and acrylic stand fits well in any kitchen, and clears up space for more activity! 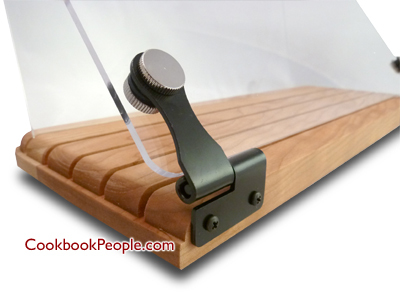 Feel confident that your books will remain clean and upright while using this lovely cookbook stand.